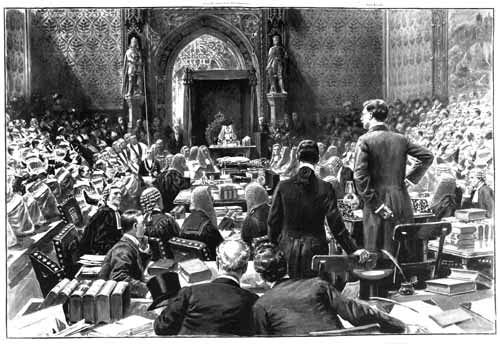 Earl Russell on trial in the House of Lords for Bigamy July 18, 1901. The Lord High Steward is reading the Sentence. Illustration for The Illustrated London News, 27 July 1901.